One of my favorite recollections was of the time my sister, brother and I hightailed it from a charging bull. Being the youngest, about 5 or 6 at the time, I was naturally the least capable of running the 50 yard dash in less than a minute. I don’t think my siblings were too much faster, although come to think of it, I didn’t see them again until they came back to help me climb back over the fence. Not sure what they would’ve told my mom if they showed up without me when they got home. Maybe they thought with 8 children to raise, she wouldn’t miss me until they’d grown up and left home. Whatever! I was just thankful I wasn’t left as food for the bull. I’m trying to remember if we were able to hang onto the food we’d gathered for our rabbits.…can you blame us…if we didn’t?…hugmamma. Another early memory…2 for the price of 1…Again when I was a youngster, maybe 8 or 9 this time, I received the most beautiful, white doll from an elderly friend of my mom’s. 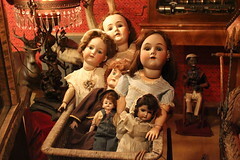 The doll had been a cherished treasure of the woman’s since her own childhood. It meant a lot that she was relinquishing it into my care…a lot. Christine, the name I gave my precious, new friend, was still in pristine condition, having been kept in her box all those years. I’m certain she was only removed on special occasions, or for a “look-see” every now and then. Well I wasn’t about to keep her hidden. No siree. She was getting prime real estate on my bed. Christine and I were going to sleep side by side, heads resting together on my pillow at night. And during the day, she had it all to herself. Well the love affair with my new doll didn’t last long. My older sister whispered “sweet nothings” into my mom’s ear, and Christine was no longer mine. Of course I cried and pleaded, but the rationale behind the adoption was that I would probably break the doll playing with her. Better she remain without blemish in the more responsible care of my sibling. I was heartbroken, to say the least. As a gesture of reconciliation, my mom bought me my own doll that Christmas. Excited, I tore open the box only to reveal a black doll with short, curly hair, unlike Christine’s long, wavy, auburn tresses. I tried not to let my disappointment show, but didn’t succeed. Even my mom’s explanation that the doll reminded her of me, that it was a Hawaiian doll, didn’t appease my little girl’s heart. I left the doll in her box for a few days. But then I realized she was probably sad at being neglected and unwanted. So I brought Roberta, a name which seemed to suit her, into bed with me and comforted her. In truth I think she comforted me, for I felt like we were two unhappy souls. Some years later when my sister left home for college, she returned Christine to my safekeeping. I was grateful but no longer felt in awe of her beauty. She became one of several dolls which I’d collected in the interim. No one could replace Roberta who’d been my comfort all along. Both dolls are only memories now, although I will always remember Roberta as the best friend a little girl could have…in happy times…and not so happy times…hugmamma. This entry was posted in ethnic, family, Hawaii, humor, inspiration, parenting, self-help, values and tagged blogging, Christmas, compassion, dolls, memories, postaday2011, siblings, toys, www.Dailypost.wordpress.com, www.hugmamma.wordpress.com. Bookmark the permalink. How could I forget that scary day in my life? I was running for my life wearing Dad’s oversize rubber boots screaming and crying on the road and you still stuck inside the pasture. Lucy had to go back and get you. Not sure what happen to the rabbit food? Thanks for corroborating my story, Ed. Sometimes I wonder if I’m making them up because I feel like I’m the only one who remembers them. 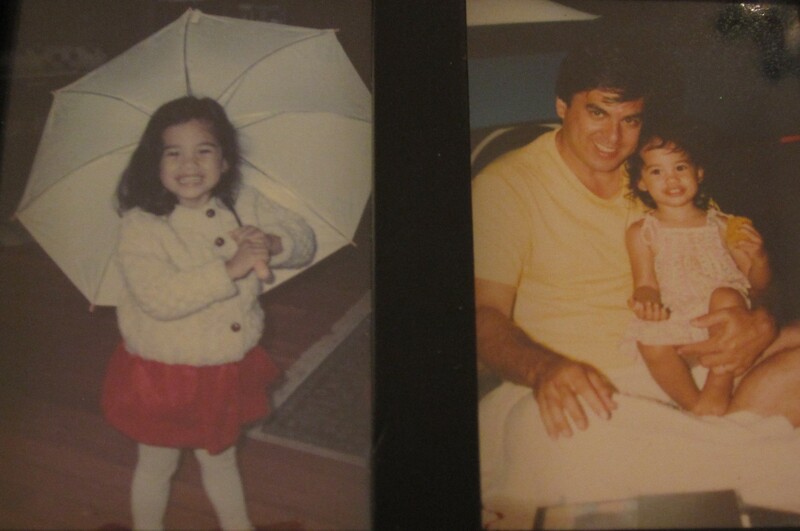 But, of course, there weren’t many of us around when I was a toddler. At least I don’t really remember the older siblings in my life. I’m sure they were out doing teenage and adult stuff. What a fun post. My earliest memory is also of a bull – but slightly different. Now that you’ve reminded me I’ll blog about it next week. I can relate to the charging bull story as the same thing happened to me and my siblings. Great post! Thanks! Would love to read your story. Have you posted it? No post. I just commented on Chittle Chattle about the incident: http://chittlechattle.wordpress.com/2011/07/08/10-things-i-want-to-do-in-2011-day-3/.